The Rector of the Academy, Mr Joshua Okpo, who made the appeal in an interview with the News Agency of Nigeria (NAN) in Oron on Sunday, noted that the financial needs of the institution had risen above the amount the law mandated NIMASA to release to it. According to him, although the law stipulates that NIMASA should release at least five percent of its revenue to the academy, it did not stop the agency from allocating more funds. He told NAN that the institution needed to build a simulator complex valued at N2.5 billion so as to meet the training requirements of its cadets. The rector explained that the establishment of the simulator complex would require the provision of Global Maritime Distress Signal System (GMDSS), radar ARPA simulator and engine simulator. Okpo said that the International Maritime Organisation (IMO) audit team would visit the academy in January 2016 for the assessment of its facilities. “We must try very hard to remain on the IMO white list and we appeal to the Federal Government to help in purchasing the equipment. “Without the equipment for simulator training and certification, we may not likely pass the test,’’ he said. The rector said with the installation of the simulators, students of the academy would no longer be taken to Regional Maritime University, Ghana, for further training and certification. Okpo who was recently re-appointed for a second term in office, promised to work hard to complete all ongoing projects in the academy to enable it to attain a degree-awarding status. 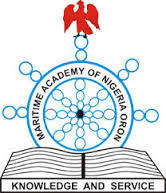 The academy, which was established in 1979 as Nautical College of Nigeria now runs National Diploma, Post-Graduate Diploma and Certificate programmes in Maritime. Courses offered in the academy are Nautical Science, Marine Engineering, Boat/Ship Building Technology and Maritime Transport/Business Studies. Others are Electrical/Electronic Engineering, Hydrology/Fishery Science and Marine Meteorology/Oceanography.